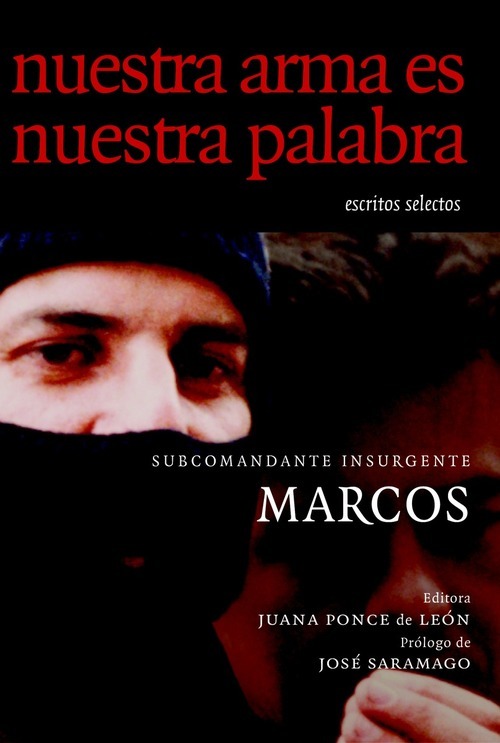 Subcomandante Insurgente Marcos is a spokesperson and strategist for the Zapatistas, an indigenous insurgency movement based in Mexico. He first joined the indigenous guerrilla group that was to become the Zapatistas in the early 1980s. 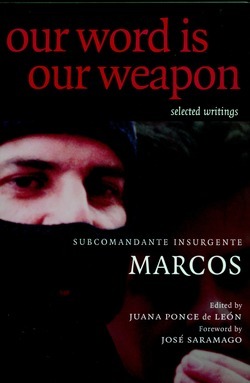 Marcos is author of several books translated into English, including Shadows of Tender Fury, which featured early letters and communiques, and a children's book Story of the Colors, which won a Firecracker Alternative Book Award. 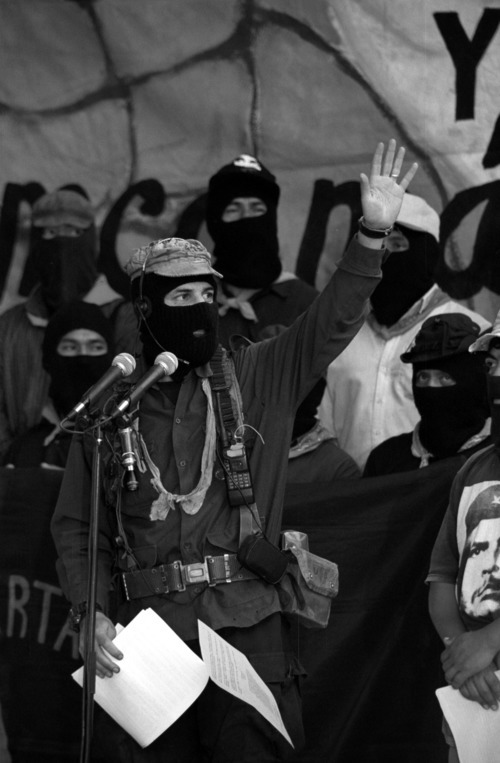 In 2014 it was announced that Subcomandante Marcos would no longer make public appearances.